Motherhood is a 24 hour profession and everyday is a Mother's Day! :-D "Aye! Aye Captain!" Yay, that's my son, Chase, finally agreeing to it! 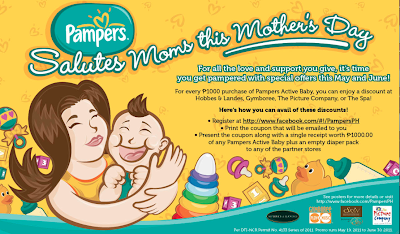 ;-D Luckily, I'm able to convince him that after our momentous Mother's Day Sunday, I can still enjoy unlimited privileges...no fighting with me, I keep my First boss position when his dad is not at home, bottomless hugs and kisses, and a lot more conditions! He agreed quite reluctantly but with the following provisions...he needs to have a Happy Chase's Day too for himself, on top of his birthday, and Christmas. And that we call each celebrated days (Mother's, Dad's) Happy Everyone's Day! :-D Surely, I have to totally agree with him!!! Every moment is a time to celebrate love in the family! 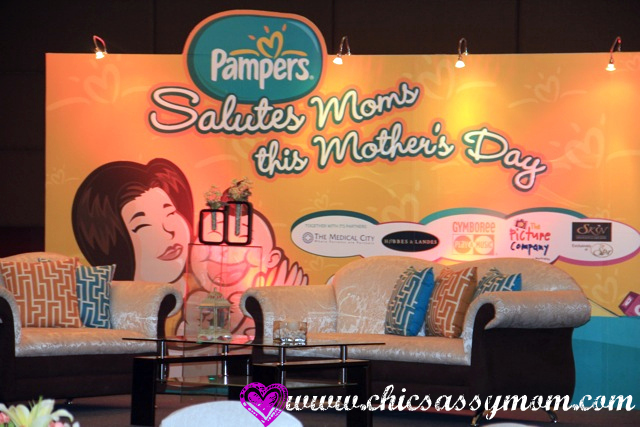 ❤ Thankfully, I was blessed to be a part of this celebration of love in Pampers' Salutes Moms Campaign Launch held at Galleria Crowne Plaza. 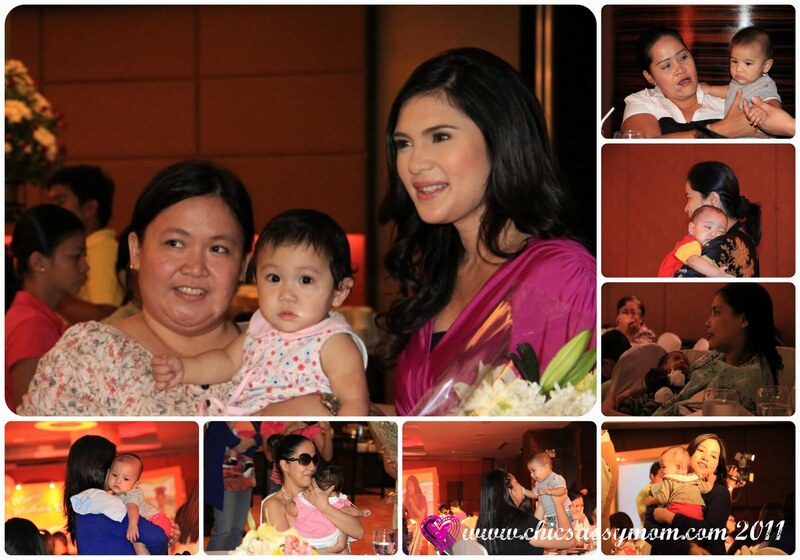 I love to call this event as a a great Babies' Day Out! ;-D The mommy and babies moments are truly priceless! Surprisingly, we barely had a fussy baby in attendance. Attaboys! Attagirls!✌ We have a bunch of smart babies indeed! They seemed to know the topics in discussion are all about them. The presentation of Dr. Jacqeueline O. Navarro, a developmental and behavioral Pediatrician of The Medical City (TMC), on importance of optimal sleep in overall baby's growth and development. 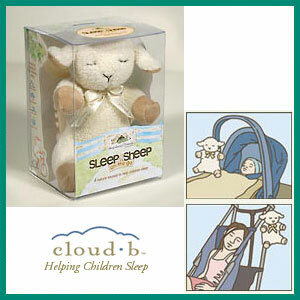 The Sleep Sheep on the Go provides comforting and soothing sounds to calm babies to sleep when traveling. Available on Hobbes and Landes. Experts in Early Childhood Development Gymboree Play & Music also shared some mom-and-baby activities to further help spur infant development the fun way, playtime! :-D Teacher Kat Maranas lead the live session on Mirror Tummy Time, and other sensory exploration activities incorporating songs and games. Gymboree espouses programs that help provide children with age appropriate holistic growth, which could be facilitated as early as infancy. On Infant Skin Care, and the importance of choosing the right diaper at this early stage given that the two most common skin care problems are cradle cap and diaper dermatitis by Dr. Maria Lourdes H. Palmero of TMC. 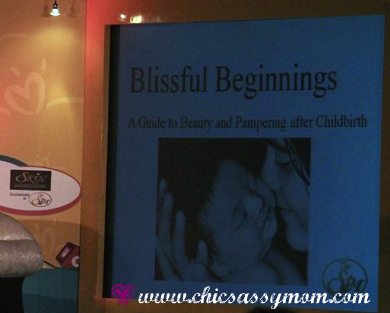 This topic is really close to my heart since we have to battle out a case of cradle cap ourselves. 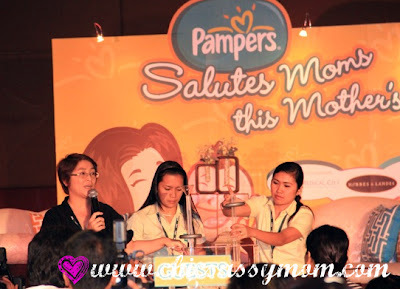 Through a live demonstration, Dr. Palmero shows how Pampers can remains dry throughout several wetness. A dry and clean diaper area can help prevent diaper rash. On Capturing Dad/Mom and Baby Keepsakes by The Picture Company. It's all about capturing precious moments, and creating priceless keepsakes, with your personal photographers. 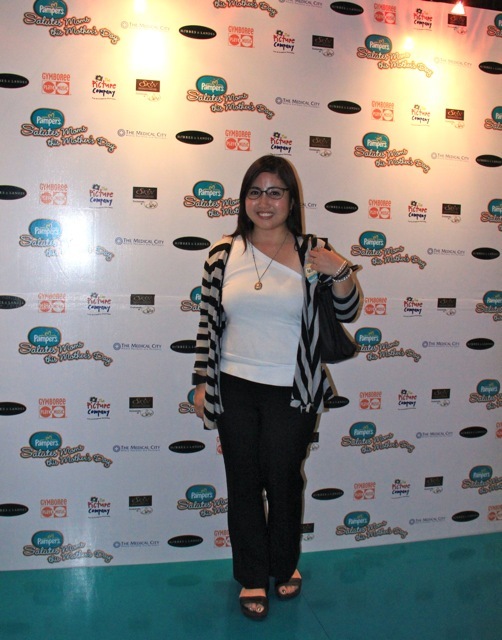 Ms. Ian Gallinguez, mommy and host of the event, talked about her experience with The Picture Company, how they make the photo sessions truly stress and hassle free. Hmmm, it kinda hit me though because my son now is not one of the welcoming photo subject. I have to like say endless conditions and threats to make him keep still and keep a good smile. ;-P haha! Oh well! I must need The Picture Company, too bad I wasn't able to get any of the raffled gift certificates. 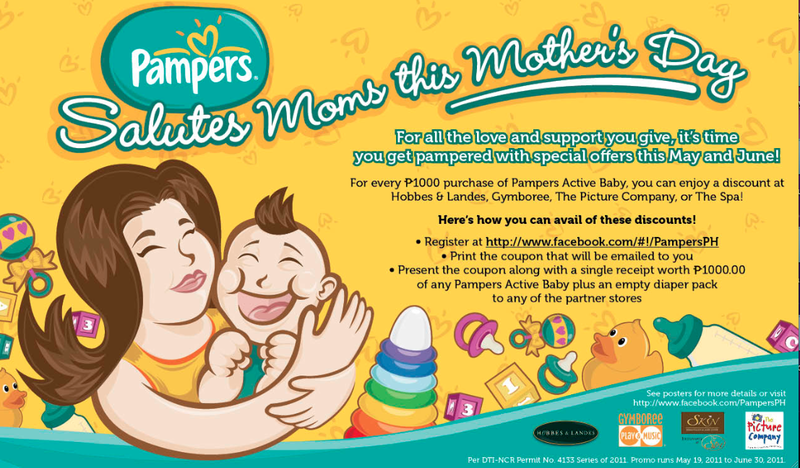 Ms. Dumangcas said that " Your baby responds to your emootions...so looking and feeling good will benefit not only you but your baby as well." At the middle of it all is a quality tested brand and product to reinforce Happy Moms, and Happy Babbies Moments :-D ... Pampers Stages Diapers. 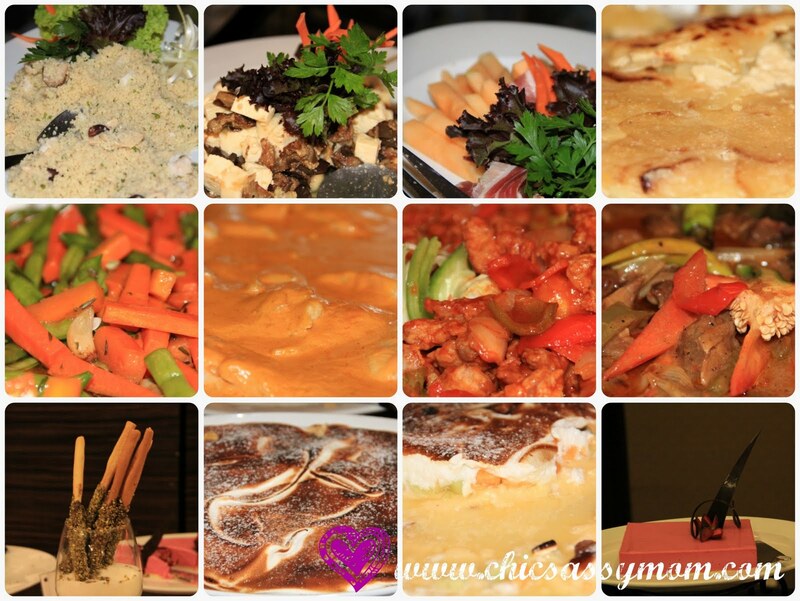 To complement the celebratory mood, we were treated to a gastronomic lunch experience at Crowne Plaza Galleria.